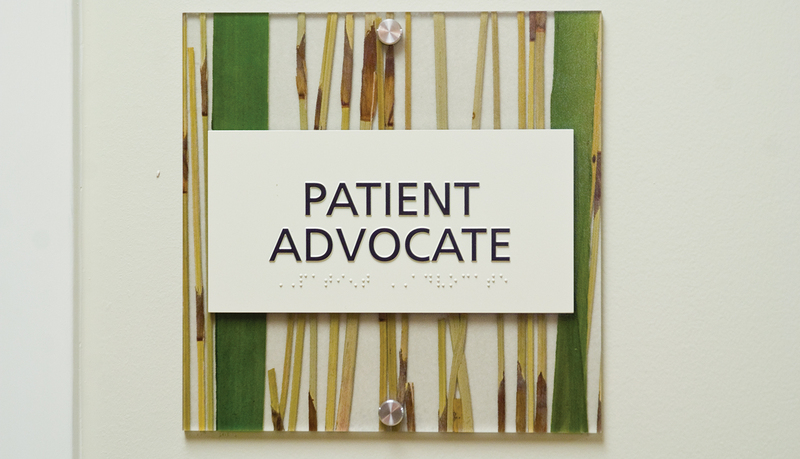 For more than 40 years, the medical staff of Boca Raton Regional Hospital has focused on providing quality health care and general welfare for all patients under their care. 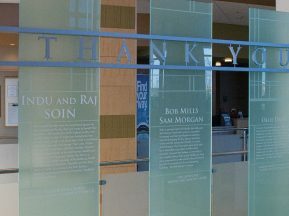 With 400 licensed beds, 800 physicians, a nursing and support staff of over 2000 and 1200 volunteers, Boca Raton Regional Hospital has evolved from a capable community hospital into one of the pre-eminent medical centers in Florida. 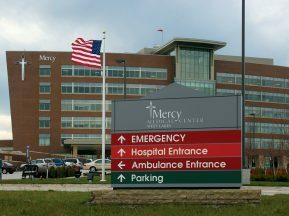 The hospital administration determined that the aging emergency care department needed to be renovated and expanded to meet the growing healthcare demands of the community. 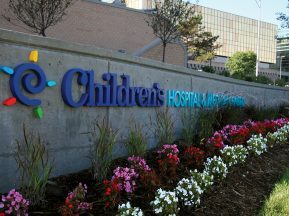 The renovations had to happen without causing the hospital to shut down emergency services, which required a multiple phase approach to renovating the department. 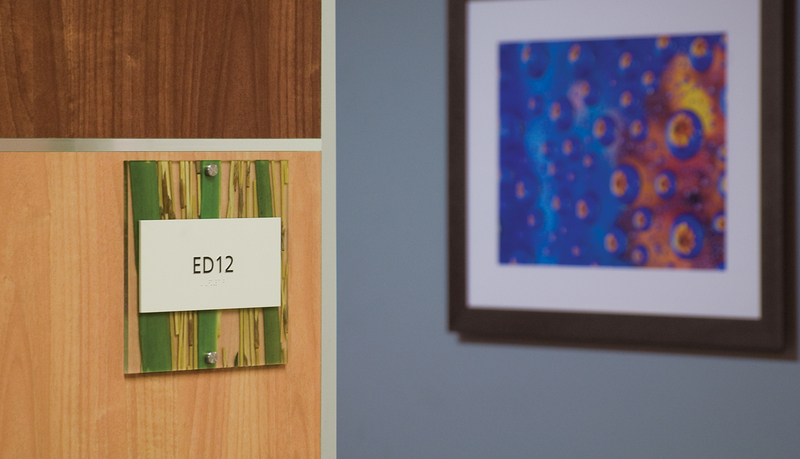 The newly renovated department, which was designed by the architectural firm Gresham, Smith and Partners, includes 15 new exam rooms, four nurses’ stations and an interior design theme designed to promote a healing-focused environment. 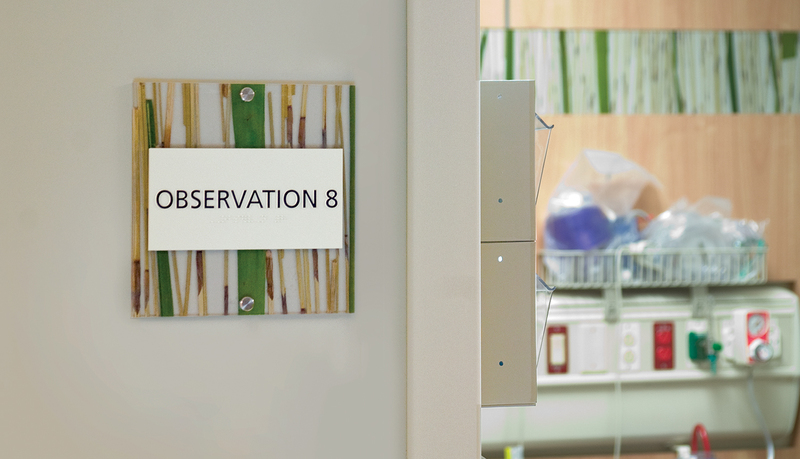 In order to complete the renovations, a new interior signage and wayfinding solution needed to be implemented that would match the architectural design features and contributes to the healing-focused approach of the emergency center. 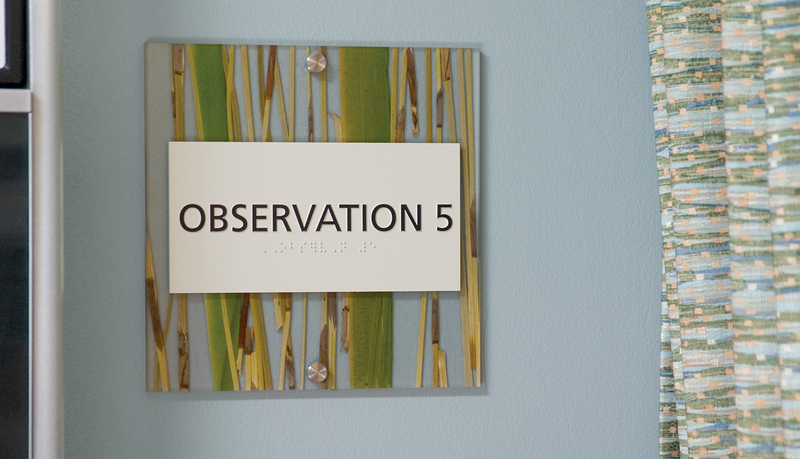 ASI was asked to design, fabricate and install an interior signage solution for the newly renovated department. 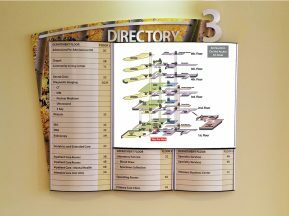 After reviewing the architectural designs, ASI recommended using its 3form based signage solution, Terra. 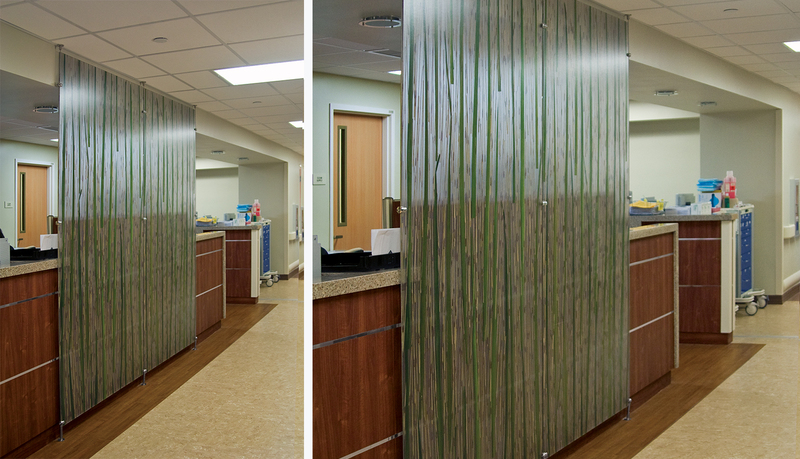 The organic and decorative 3form materials of Terra seamlessly integrate into the color scheme and designs of the healing-focused environment and they can be seen as some as contributing to the “works of art” in the hospital. 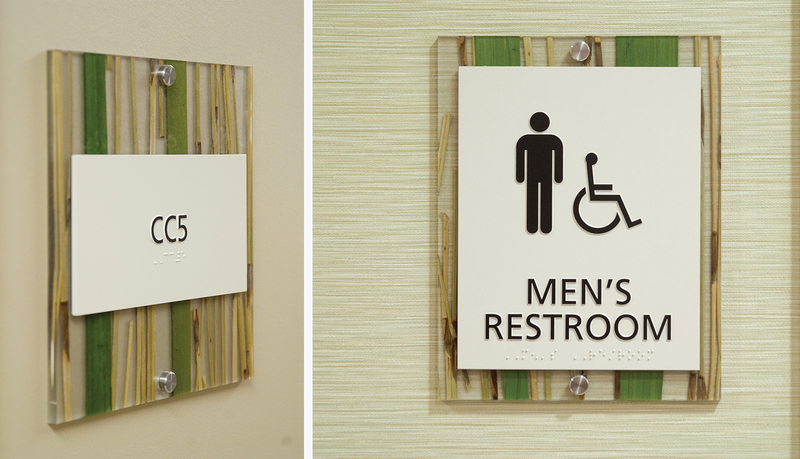 In addition to being an eco-friendly ADA-Ready™ signage solution, Terra can be used to create complete interior signage systems using decorative accents and mechanical fasteners. 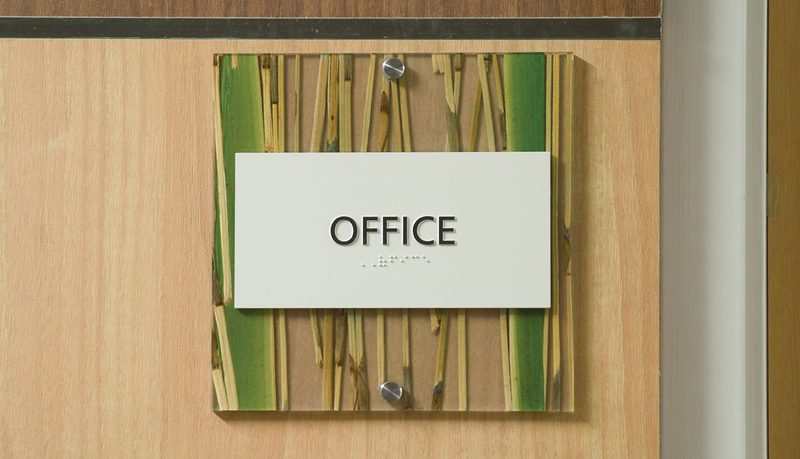 The result is an interior signage solution that complements the environment and is to be the model for interior signage for the additional hospital renovations in the near future.